What a fantastic trip we had to Lotherton Hall! The children looked amazing and really engaged in the role play. We learnt about Morse code, First Aid and investigated artefacts. Their learning has been evidenced in well-written evacuee letters and stories. Year 6 have had great fun learning about volcanoes and earthquakes this half term, which has led to some fantastic writing. Here are some pictures of the messy, but educational, lessons! Over the last few days, Year 6 have been writing mini myths! This has tied in well with their topic learning. We spent a lovely morning listening to some of their stories, some based on how Odin lost his eye. They snuggled down with blankets and hot chocolate in candlelight to imagine what a Viking evening might have been like. I have to say, the children listened to each other beautifully, showing what engaging writers they are and what a well-behaved bunch they are! 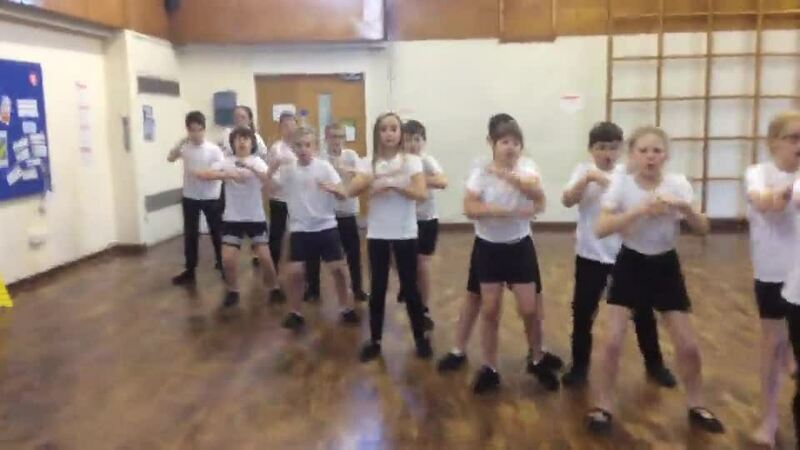 As you have probably heard, Year 6 have been creating a Haka for Castleford Tigers! We are hoping to show it to them, with the kind help of Mr Crowther! The children have worked really hard and shown super team work. Here is the result - but beware! They are scary!!!! This week the Red Cross led a workshop for Year 6 so that we could learn about migration, asylum seekers and refugees. The activities helped us to clarify the terms used and also made us think more deeply about what it is like to leave one's homeland. A very thought-provoking session! To celebrate Poetry Day, Year 6 learnt and performed 'Walking with my iguana'. this task was approached with great enthusiasm and we had a lovely day, with everyone getting involved! They used their amazing talents to create a fantastic performance for Year 2. We even managed to incorporate some drums! After this, the children created new verses with Year 2. We were all really impressed by how they guided and supported the younger children to do this. Well done, Year 6, for introducing performance poetry to a different class. Year 6 enjoyed a really interesting and informative trip to the water treatment works! Having seen the River Swale in its natural form, it was fascinating to learn about how water finally reaches our taps! They will be able to provide some useful water-saving tips too! Thank you again to our parent helpers for giving up their valuable time! And we're back! Year 6 have had a fantastic week at Marrick! Each and every child took on many challenges with enthusiasm and determination. I am truly impressed by their courage, perseverance and willingness to try new things. We are all very proud of you and your achievements, Year 6! It was a real pleasure to spend the week with the class; their lovely manners and positive attitudes were also noted by the instructors. I think most of them were quite amazed by what they could do! So, here are a few photos to give you a flavour of the week and I hope to share more on Wednesday! If any do ask, please explain why it is not practical for us to have a pet sheep at school! 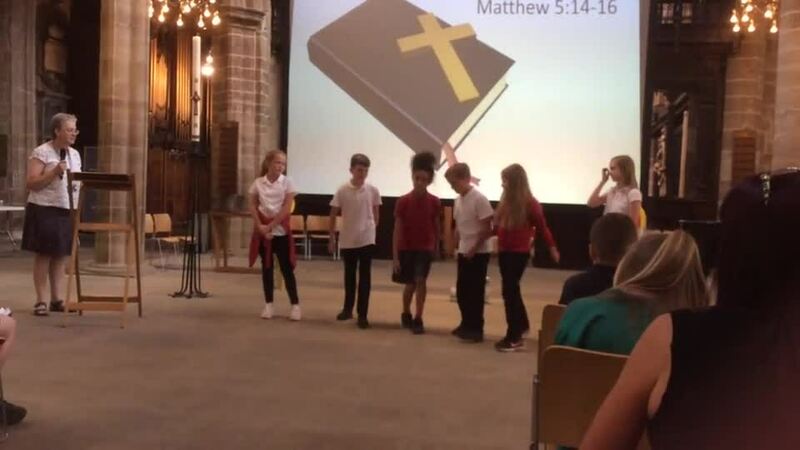 Year 6 enjoyed a memorable afternoon at the Annual Leavers' Service. Their contributions to the service were confident and valuable; the children were a real credit to us all. Focusing on 'Yesterday, Today and Tomorrow, we joined in with prayer, discussion and hymns. You can see the 2 lovely candles we created for the service below and there is a short video of the reading we were asked to do. Well done Year 6! Year 6 worked so hard to a tight deadline for their end of year production. It was a huge success and showed off their talents perfectly! Well done Year 6 and we hope that you seek opportunities at Brigshaw to show off your excellent performance skills. Staff, pupils, parents and carers thoroughly enjoyed the show! This morning, we had a most enlightening workshop about the continent of Africa and the country Malawi in particular. Through a series of fun activities, we learnt more about Africa and challenged our current perceptions to think about diversity. The feedback from the children was extremely positive and Geoff, who led the workshop, was impressed by their engagement and depth of thinking. Don't be surprised if the children start asking for old bottle tops - Geoff taught us a super new game! We have been testing our knowledge of earthquakes by researching and constructing earthquake proof buildings! Testing them on a jelly shake table was great fun and most of the structures managed to stay upright for 10 seconds! This was a welcome break after revision! Year 6 really enjoyed a lively workshop with Karim including singing and dancing. Following the workshop, they have written some wonderful stories about the antics of Hyena and Rabbit, creating their own plots. After working incredibly hard towards their SATs., Year 6 enjoyed a real treat - fish and chips! We walked down to Woodend Fisheries and had a lovely meal in the sunshine. Very much deserved and a great incentive! To add a modern focus to our World War Two studies, we also invited Abbie from the Red Cross to talk to us about modern conflict. We learnt some interesting facts and considered issues faced by people across the world. Here are some photos from our school trip! Amazing evacuee costumes! Well done children! Unfortunately we have been hit by some nasty bugs this week! So, here is some work that we have been doing this week that you can catch up with over half term! Just use lined paper and bring it in on Monday. If you have been at school, you may wish to try your hand at a different genre! try writing the letter in the clip! And finally - homework pages! Have a lovely half term and see you soon!